Are Kamen Rider Zi-O's 0.5 Episodes Breaking the Fourth Wall Through Self-Parody? Kamen Rider 0.5 episodes are really ringing in some weird humor. Okay, I'll just warn people to take what you read from Toku wikis (or whatever bloggers may have to say, even myself since I'm no expert in Toku so bear in mind I could be wrong about many things) with a grain of salt if need be. I even thought about the whole entry in Kamen Rider Wiki which says, "From interviews, Shirakura is noted as having a general derision and dislike of the tokusatsu genre, viewing the entire media form and any project he is not in charge of as "Juvenile"." -- but where is the source for such information? I guess Shirakura (like him or HATE him) may be completely aware and is now backfiring with some self-deprecating humor. Okay, I'll try updating every two weeks or every time an arc ends instead of the weekly episode review. Yup, don't expect me to keep going into too many details in these posts unless you request it! This time it's the Kamen Rider Wizard arc which unfortunately -- there's no Haruto in it! 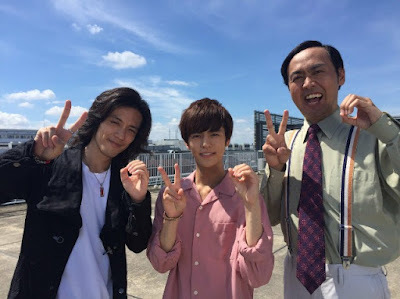 I don't know what actor Shuniya Shiraishi is up to, it's safe to assume Sota Fukushi has his whole load of projects though we've had a guest cast in Takasu Nagase resuming his role as Kosuke -- well at least we've had one guest cast! It's just like how certain Gokaiger episodes don't have the main hero showing up! Spoilers -- well too bad that Sota Fukushi DID NOT appear which is presumably due to his busy schedule. After all, he's a big time star now and he's got lots of projects. I do have a feeling that Toei and Bandai are actually trying to speed up merchandise sale. I mean, the past weeks since the premiere had some new toys advertised such as EX-AID, Build and Fourze. Now, it's time to give Kamen Rider Geiz a power-up in Fourze since the arc covers two series. Perhaps one of the more redeemable sides of Meteor Garden (2018) is the actress who brings Kaede Doumyoji or Dao Ming Feng. I was watching through it and said, "Oh she does LOOK familiar!" And yes she did -- she's actually Wang Lin who portrayed as the really manipulative latest wife in Romance in the Rain. I even remember how I praised Wang's performance over to that of Rosanna Gu from the 1986 version. Heck, she could have made a better Ai Lin (the deranged stepmother of Ting Ting) than Gu in Deep Courtyard IMHO! 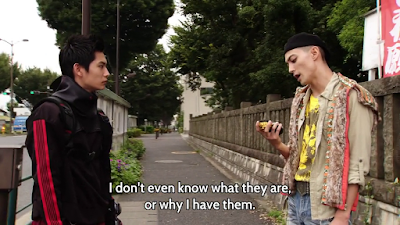 Well I don't know how often I'd be doing a Kamen Rider Zi-O weekly episode review (though expect them to be around Wednesday or Thursday depending on when Over-Time releases the subs) and do expect that maybe after next week -- I'd probably give updates once every two weeks or whenever I feel like it like I did with previous Kamen Rider posts. 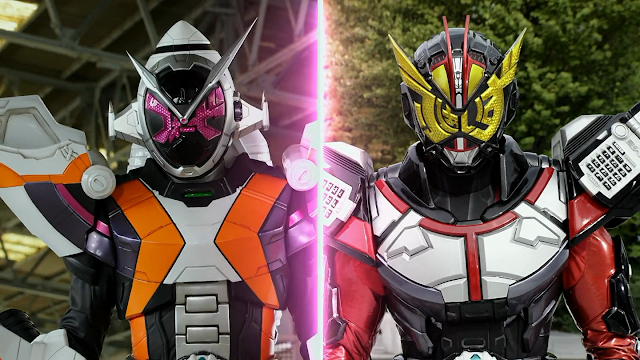 Now it's time for me to write what's a two-in-one tribute episode where two riders contrast each other namely the extremely dark Kamen Rider Faiz and the super-lighthearted Kamen Rider Fourze.